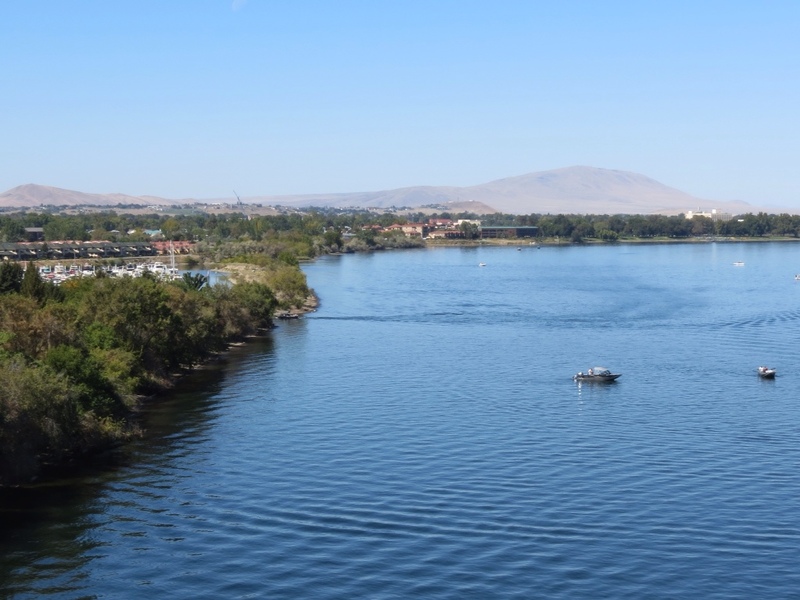 This trip was planned with several key areas of interest, the Columbia River being one of them. Although technically we saw it above the Grand Coulee Dam, there it masqueraded as Lake Roosevelt. Today we reached what I consider the flowing river. Our route to get here revealed a changing climate and farmland use. We left behind the wheat fields, which we have now learned is termed “dry wheat” for its lack of irrigation. In its place, we traveled through more diverse farm interests. Corn fields, green crops, even vineyards and the ever famous Washington apple orchards dominated the landscape. And the long spiny rotating irrigation structures were prevalent everywhere, fed by the waters of the Columbia River. We also coined a new term, “vegetarian roadkill,” for the fallen onions, corn cobs, zucchini, apples and other produce that had fallen on the roadside on the way to market. 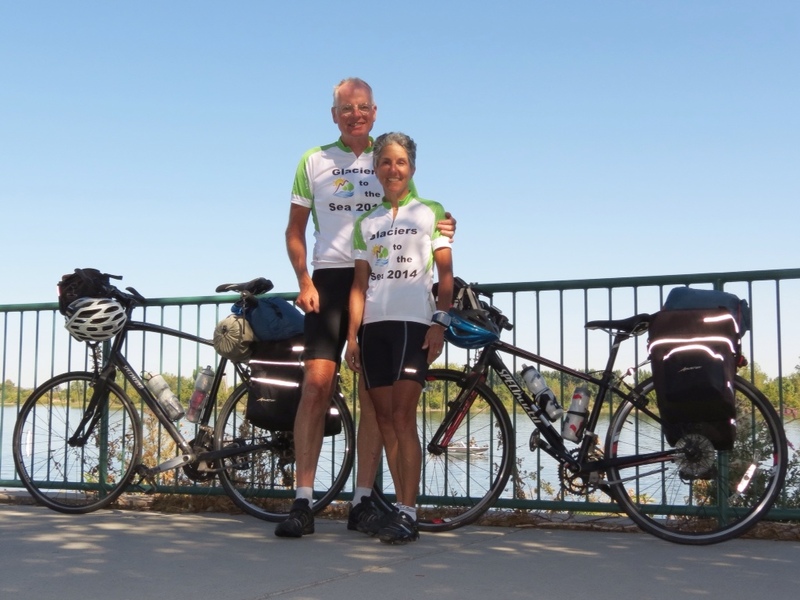 We crossed the river from Pasco to Richland WA, greatly impressed with the bike lane provided. Not only did it have it's own separate and safe approach, but once on the bridge we were cordoned off from the traffic by tall barriers and were equally well protected from the edge of the bridge. I wish all bridge crossings were so comfortable. Having gotten an early start this morning, we had plenty of time to take in the wonderful bike trail along the river. 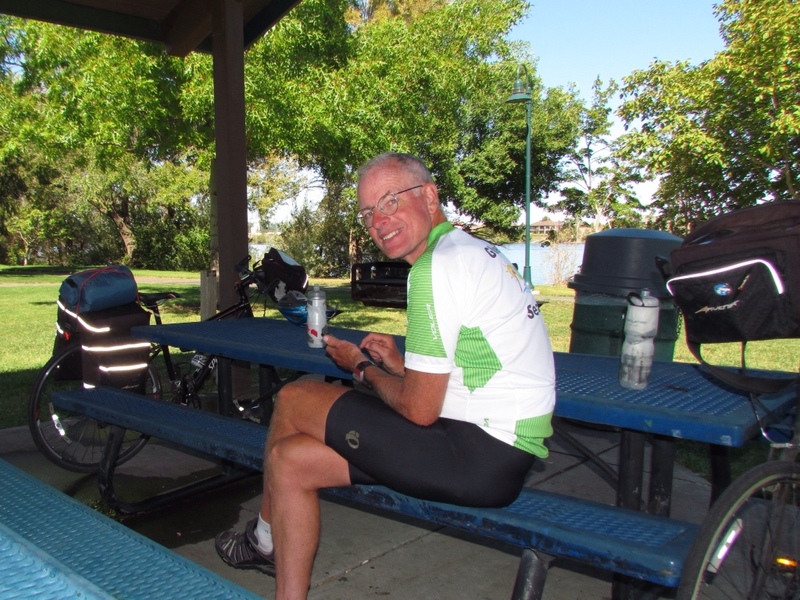 We started with a rest stop in the park near the bridge. There we gained a critical piece of information – directions to the nearest ice cream shop along the trail. It was indeed a good recommendation, and we savored huckleberry ice cream cones while overlooking the river. 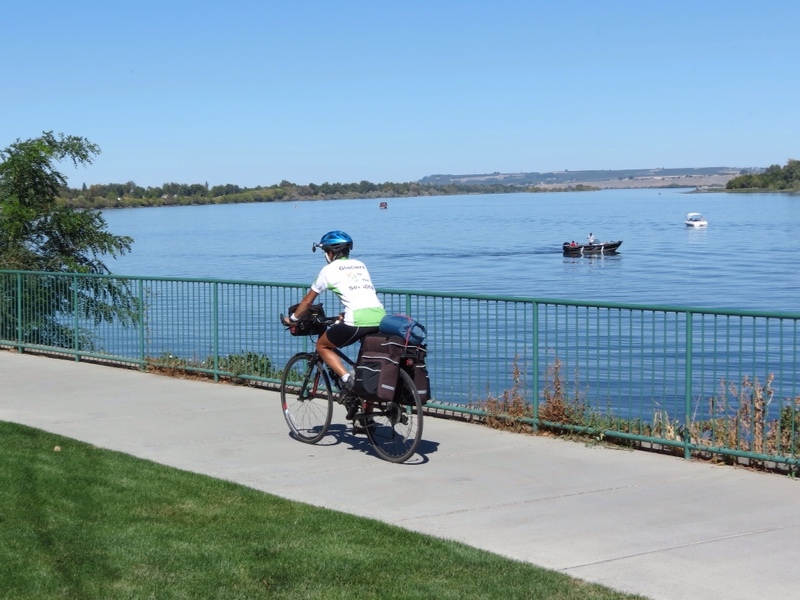 Our Warm Showers host home was just 5 miles up the river – virtually all on bike trails. It was the easiest and most scenic approach to our lodgings ever! The Columbia River will be our neighbor for the next week of cycling. Tomorrow we will round the bend of the river and then proceed down the river gorge. I have already picked up a map of all the vineyards along the way. And I'm sure there will be plenty of other nice sights as well. I think I'm going to like this trip down the Columbia River.